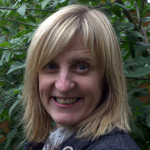 I am an NNEB qualified nursery nurse with over thirty years professional experience of childcare. I work alongside my husband who is a Level 3 qualified practitioner and has been childminding with me for 7 years. I am a mum to Katie and Sam who are growing up far too fast - 21 and 18 respectively! Both myself and Dubby, my husband of 26 years and fellow childminder, enjoy keeping fit and value a healthy lifestyle which reflects in the care we provide to the children. We have a house rabbit called Ed, who the children love and our daughter, who is a horse riding instructor, owns a pony that several of the children have enjoyed a ride on! I enjoy Pilates, walk several times a week and especially love shopping with friends! We provide a loving, warm, homely but mainly fun environment with a garden that the children have access to all year round (recently artificially turfed). Our house is detached in a cul-de-sac within easy reach of the canal and parks. We are flexible with start/finish times to suit our parent’s requirements. A reflection on our service is that we rarely need to advertise. The majority of our children have started through personal recommendations and we continue to care for many after school as they get older. We accept all childcare vouchers and offer both the current 15 hours free entitlement and are registered to offer the 30 hours free entitlement from its inception in September. On leaving school in 1983, I attended college where I successfully completed my Nursery Nurse training, gaining the NNEB qualification.. After qualifying I worked in Social Services day nurseries, nannied and worked for the National Children's Home before then running a private day nursery for six years. On having my own children I decided to work in a home environment as a childminder, which I have now done for 20 years. I am married to Dubby and he has been working with me as a registered childminder for over 7 years. We successfully passed the Early Years Quality Improvement Award by Surrey County Council last year. We both possess good senses of humour and the environment is friendly and full of fun. Being registered childminders, we work within the Early Years Framework. Our Working together allows us to offer the benefit of larger groups of children providing more interaction and stimulation but still providing a focus on the children being individual in a homely environment. Whilst our Ofsted grade is Good, we narrowly missing out on 'Outstanding' with the inspector commenting that she would have graded us 'Very Good' if it was available. I am NNEB qualified and have also passed my paediatric first aid, safeguarding child safeguarding and food safety. Dubby has also passed his Level 3 qualification in Children and Young Persons Workforce. We have received the Surrey CC Early Years Quality Improvement Award and we've also attended numerous SCC Early Years related courses. We both have seven seat cars and pick up and drop off at local schools (currently St John's and Chobham). Please speak to us if this is a requirement and your school is not listed. Below are the latest reviews for Sue Stemp. Please note that reviews represent the subjective opinions of other Childcare.co.uk users and not of Childcare.co.uk. Parents must carry out their own checks and references on childcare providers to ensure that they are completely happy before enaging in the use of their services. Sue and Dubby have been looking after our children for three years and they love to go to them. The way they care about our children, the activities they organise and how they love and help each child developing still amazes both myself and my husband. The little ones are involved in all kind of creative activities making marvellous arts and crafts. They’re regularly taken to exciting trips to enjoy nature on fresh air. We feel lucky for finding Sue and Dubby, and couldn’t wish for better people taking care of our children.